Amid the hustle and hustle of the past few weeks, I ran to the linen closet to grab a bar of soap and some lotion and found the shelves that normally house these items to be completely bare. 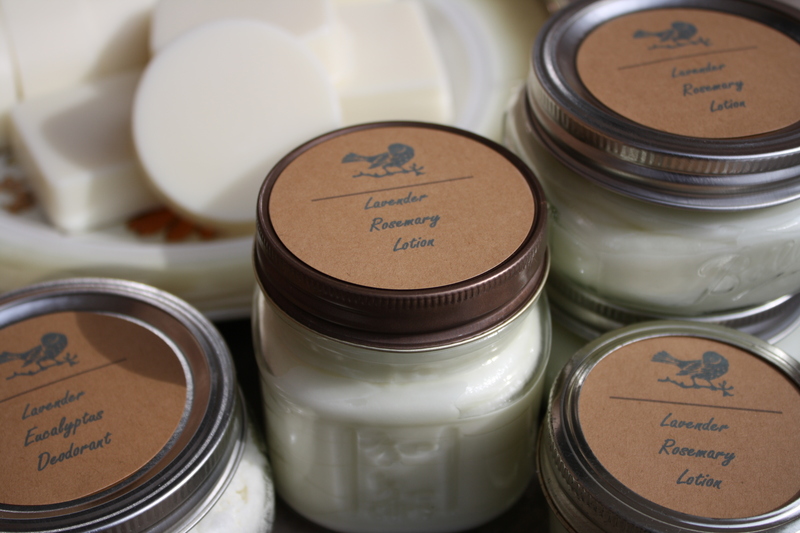 So, we spent much of our St. Patrick’s Day afternoon making some new soap, lotion and deodorant. I used my favorite lotion recipe from this amazing book, but instead using olive oil as I normally do, I used a cold-pressed organic grape seed oil. 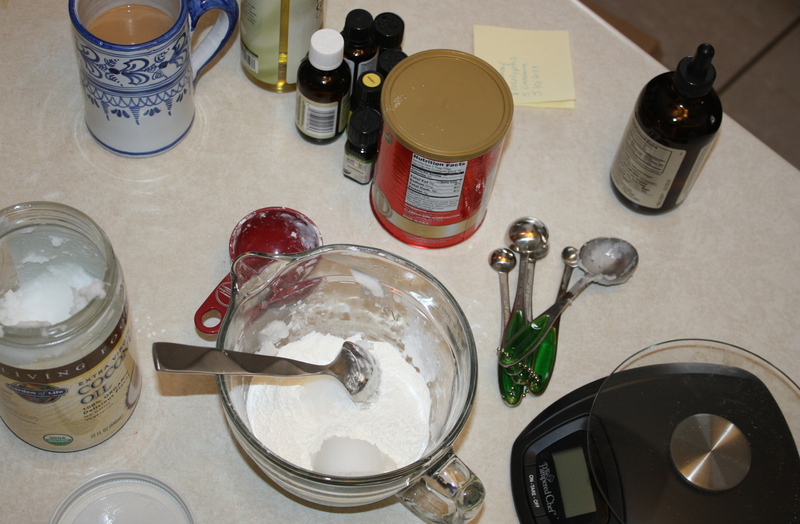 It ended up making a much lighter lotion, which I really like. A friend of mine steered me towards this great homemade deodorant recipe, and after wearing it in a multitude of situations, I have found it to work wonderfully! In fact, I would even venture to say it works better than my organic store-bought deodorant. And last but not least on our to-do list: soap. 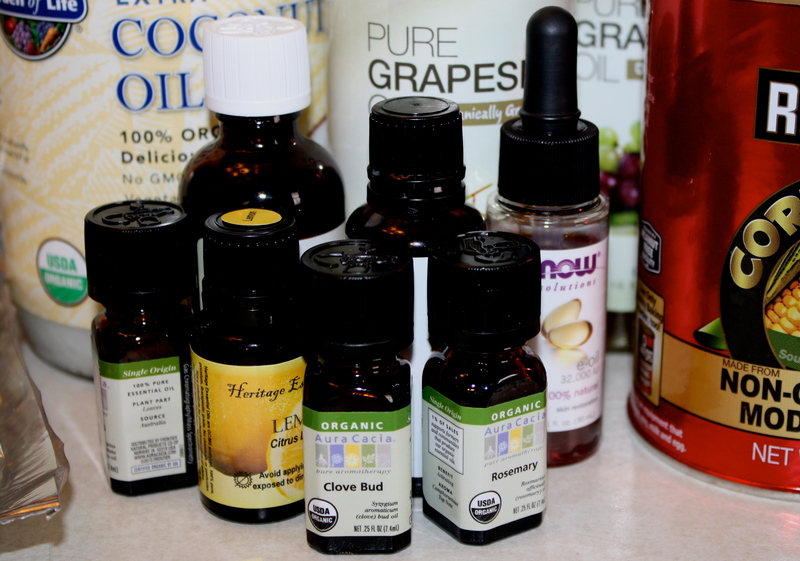 I created this recipe after researching those essential oils known for their anti-bacterial properties. I hope you enjoy this soap as much as we do! Fill the pot or saucepan half full with water. Bring to a simmer. 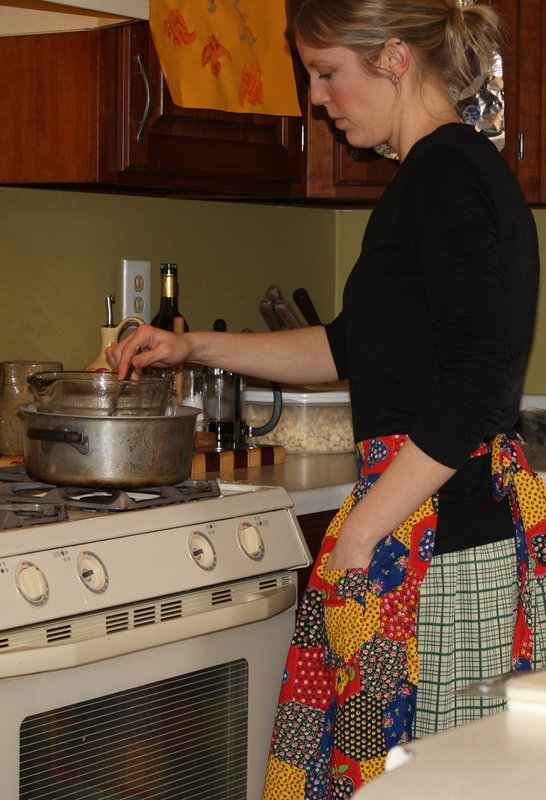 Place the glass bowl in the pot of water to create a double boiler of sorts. Place the melt and pour soap base, palm oil and the vitamin E oil in the glass bowl. Stir with a wooden spoon until it melts. Remove the bowl from the heat and add the essential oils and stir. Allow the mixture to cool slightly (enough to thicken the mixture just a bit). Pour into your molds. Allow to rest until completely cool. 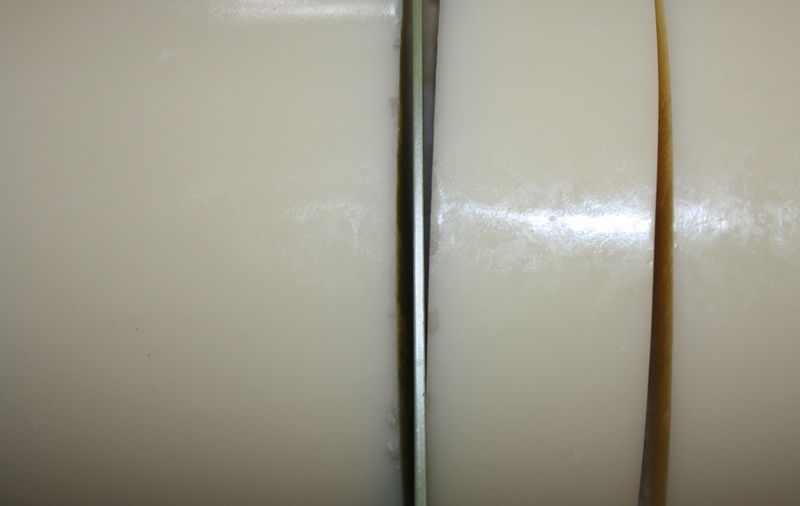 Remove the soap from the molds. Allow the soaps to cure for about two weeks before you use them. This entry was posted in DIY, Holistic Living, Recipe, Sustainable Living and tagged Amanda Blake Soule, DIY, eco friendly, holistic, holistic living, home, homemade, homemade deodorant, homemade lotion, homemade soap, homemade soap recipe, homemaker, homemaking, lotion, make, making, mama, mindfulness, mom, mother, mymerrymessylife.com, organic, recipe, soap, sustainable, sustainable living, The Rhythm of Family. Bookmark the permalink. Hey Jaime, looks like you have been busy, Where do you get your jars and labels? Love them! I found the cute, squatty Mason jars at Woodmans. They were only something like $3 for four jars…I just love them! The quarter pint jars I bought at my dad’s store (Zanocco ACE Hardware), and the other jars are jars I reused after burning the candles that were in them. I read this post the other day and it go me thinking. I accidentally stumbled upon your blog through Facebook a few month back (you are FB friends with my hubby) and I love your posts. So my question regarding this post is do you have anything that you use for a facewash? I would also be interested in shampoo too. I hate the price of all of the “good” stuff there has to be a way to make your own. Thanks for sharing all your info!! Thank you…I’m so glad you enjoy the blog! At this time, I don’t have any recipes for a face wash or a shampoo. I used to buy a homemade shampoo from a lady in Poplar Grove, but I found it to make my hair really greasy, so I stopped using it. 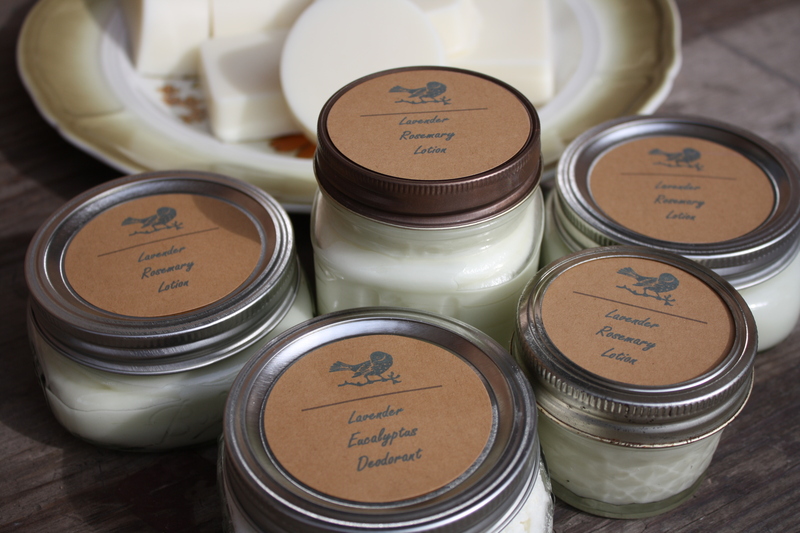 I am in the process of experimenting with a few recipes, and looking for people locally who would sell such products. I’ll be sure to let you know if I come across anything.